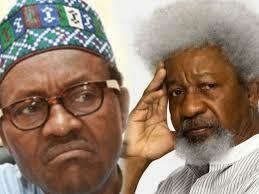 Wole Soyinka, renowned playwright and Nobel laureate, has slammed President Muhammadu Buhari over his “inability to get justice” for victims of clashes between farmers and herdsmen and Boko Haram insurgents. Delivering the keynote paper at a dialogue organised by Ripples Centre for Data and Investigative Journalism in Lagos on Thursday, Soyinka said what we need now is justice and not sympathy. He said rather than visiting the affected areas, Buhari should speak to people’s security needs, and bring perpetrators to book. “I get impatient when I hear things like Buhari has failed to go and sympathise with the people of Benue, with the people of Nassarawa, with the people of Dapchi or wherever,” he said. “Who needs sympathy? Is it sympathy that will reorder their broken lives? Is sympathy the issue? We are speaking here of one commodity that is fundamentally human deserving, justice. Soyinka said failure on the part of government has been the reason the country is yet to get over the security challenges. In the past weeks, Buhari has visited Yobe, Benue and Plateau states.